Randy's Journey to Life | Here, I share perspectives and my process from consciousness to awareness within the Principles of What's Best for All. 36 Common Cold Catalyst for Self-Expansion? I have been looking at and working on incorporating living self-expansion in all phases of my life, so I decided to expand my “knowledge box” of self-treatment ideas, and have a look at what is here – in my house. I have quite an array of supplements, left over from my late wife’s process with cancer, and I hadn’t taken/made the time to go through them. So I got the big book out and went through them – not only to see what all was there and its purpose, but to also see if any could be supportive for my physical body/immune system in dealing with my current condition. It took a while to go through them all, but I found several that I could start taking immediately. There were others that I might take occasionally and some I’ll give away while they’re still good so, it was a good exercise to go through all that stuff. I learned some practical information and can utilize these products to assist my physical body. Earlier today, while reading a chat log, one of the guys had asked a question about “catching a cold”, and I recalled seeing a post that I had wanted to check out but didn’t have time when I saw it – somewhere – then remembered it was a Review – on the Eqafe facebook page, for The Evolution of the Common Cold interview in The Fu ture of Consciousness series.. Before recommending an interview to anyone, I always listen to it – again, if I’ve listened to it before – and, man, am I glad I did. The interview looks at the relationship between the cold /flu virus, the physical body, and the mind – and that relationship is truly fascinating – especially when the interview got to the part where we’re told that one of the interesting things about the relationship the cold/flu virus has with the physical body, is that it targets emotional weaknesses within deep physical dimensions – memories existing within the physical body that have a particular emotional charge to them, that have been accumulating over time.. So, when we catch a cold, we’re told to look at a period of a couple of months, where we’ve had memories/events existing within us that have a particular emotional charge to them… Basically, to look at recent memories that pretty much have the same emotional charge to them, that seem to be coming up more recently and, seem to have been amplified since getting sick..
No light bulb coming on here. I knew… I knew immediately. A whole bunch of memories… They’d been coming up every now and then over the past couple of months – little things, here and there… And, it’s not like I’d participate in a lot of energy with them, but I didn’t “look” at them when they occurred. I was almost dismissive – not giving attention to the underlying emotional attachment. I’d write it out later… Nope. This had to be done NOW. So, I stood up and directed myself to speak out loud any and every “thing” that came up that I “missed “- from the way she’d bite her lip when she was focusing on something (like she was the very first time I ever saw her), to how she’d snuggle up against me in bed when it was cold… And, for everything that came up, I sounded self-forgiveness, for accepting and allowing myself to create then perpetuate the emotions and /or feelings – that emotional charge – attached to the memory. It was an emotional process – my mind was fighting it all the way – every time I brought up another memory / something else I’ve “missed”, my mind was like Noooo, Not That! – it wanted to hang on to that energetic charge. And with almost every memory that came up, I had a good cry, too – a letting go kind of cry. It turned out to be liberating, as I had to look deep within myself to identify, forgive and discharge these emotions and feelings viruses, expanding self-awareness in the process…. 35 Is it a Wonderful Life? I had learned that choosing our words – both verbal and written – was the key to real communication – and along with tone and body language, could change an “argument” into a “discussion”. Of course, I had also learned that my/our words can be used to help, to hurt, to belittle, to intimidate, to motivate, to convince, as well as disguise the intended message. I could, and did, use my words in each of those contexts. I’m not proud of the fact that I deliberately caused another to feel “less than” – that I often times had said/wrote something to make me feel superior in some way – and Justified it within my own mind – and repeated such behavior for years. I hadn’t thought of this quote for a long time until in a recent situation where something that was said triggered a reaction – then, a follow-up comment was totally and completely misinterpreted due to still being within that reactive state. So, I was looking at situations where I had done this – which, admittedly, was many times – when this familiar quote came to mind. A little later, I had turned on the tv as I was on my way to the kitchen to fix some dinner so I could hear the weather report for the next day – I knew it would be coming on in a little while. Not surprisingly, It’s a Wonderful Life, the classic Christmas movie, was playing for the umpteenth time this year. I always liked James Stewart (after all, both my parents liked him. lol ) Couldn’t tell you how many times I’ve seen the movie – but it’s a lot… It was at the part where Clarence tells George what a great gift he had been given – to see what things would have been like if he hadn’t been born – so George could see the impact his life had had on so many others. And, I thought, indeed, what a Gift that would be. Unfortunately, none of Us will receive That gift until after we Die – after we cross over and go through our Death Process and our Life Review, where we will see who we were within every memory of our entire lifetime. However, we can, in This life, have a look at our interactions with others – in self-honesty – and review for our self how we have influenced the lives of others, even in the little, seemingly insignificant moments. Did I really Listen to the words of another, and Hear the meaning of what they’re trying to say? Did I allow myself to go into a reactive state about something that I heard, or read, and Miss part of the message? Did I speak clearly enough so that the listener Understood what I was trying to say? Did I use my words to assist or uplift? Or, did I use my words to belittle or hurt? Was I open and honest, or closed minded and deceitful? Did I get all wrapped up in my ego of self-righteousness? Or, did I look upon every being that crossed my path as equal and one with me? This is the Christmas season – the season of Giving – where many take to heart the words of Jesus: Do unto others as you would have them do unto you – to Give as You would like to Receive (if You were in Their shoes). And while we can’t give everyone a gift that requires money being spent, we can gift ourselves to others – with kindness, attention, or simply acknowledgment – just as we each would like to receive – if we were in their shoes.. And, what if we carried this with us throughout the year – not just during the Christmas season? Is it a Wonderful Life? And is it Wonderful for All Life? It could be. It starts with us – with our words – not only within our expression of Who We Are in our interactions with others, but within our Own thoughts, as well… And if we truly believe in that principle – to Give as We would like to Receive – then the only way this can truly BE a Wonderful Life, is When it IS Wonderful – for All Life…. While reading this excellent blog: Putting Others Down to Feel Better about Ourselves. DAY 322, I was able to see how I do/did/have done this myself – putting others down to make myself look better – to myself – in my own mind. Really. Looking simplistically at every memory/example that came up, that’s all it ever really was about – making myself look better to myself – reinforcing a self-definition that I was “better than” someone else in some way. But, “putting others down” isn’t nice. When you say it like that, most of us would consider it downright mean. That’s no way to act toward another. And, I always considered myself to be a nice person. Inevitably, questions came up within me: where did I learn this? How did it come to pass that it became OK in my mind, for me to criticize or belittle another, sometimes hiding cruelty within humor? I didn’t like the answers that came up, either. What I realized is that I learned and started treating people like this at a young age. I hesitate to say that it was a sort of survival mechanism for me but, it “kinda” was… Growing up with lots of sibling – 7 brothers (5 older) and 4 sisters – there were rules. Fighting – physically fighting/hitting – was a no-no. Picking on younger siblings – yeah, that could get you in trouble, too. Suffice it to say there was a lot of discipline and lots of ways/ reasons we could get in trouble and get punished. But, as long as we didn’t get caught by our parents, I learned that sometimes a little passive aggressive verbal taunting or belittling could make someone else lose his cool and say or do something that would get him in trouble. Of course, this was a form of retaliation on my part – because someone had been mean to me or something – to simply make me “feel better” about myself and get some revenge-type of satisfaction. It’s almost shocking to admit that I’ve been guilty of this type of behavior so many times. What’s even more shocking is realizing that just about everyone has done it at some point. 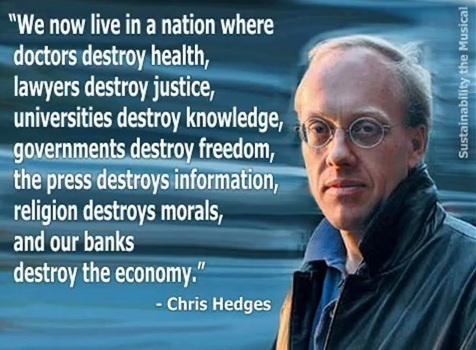 Sadly, it’s not only accepted behavior in some circles – it’s expected and rewarded – as seen on TV a la Fox News et al – while oh so many don’t even realize what they’re doing – unfortunately it’s become an ingrainedbehavior, reinforced by its acceptance as normal. When I first read the title of Anna’s blog: Putting Others Down to Feel Better about Ourselves, I immediately saw myself within those words and said – out loud – man, I’ve done that before. Then, after looking at this point and seeing the many different dimensions within which I have participated – at home ( as a child and as an adult – with siblings, kids and partners), at work, at school, at the mall, at the store, driving – it seems the list can go on endlessly – that I could almost pick any situation involving me and at least one other person, and there was probably an instance where I’ve done it – even if I didn’t say anything out loud, I’ve done it in my mind – to fulfill that ingrained competitive urge to see myself as “better than” someone/something – casting judgment, comparing, belittling-all because I wanted to feel better about myself at that moment. I forgive myself for accepting and allowing myself to see myself as ‘better than’ anyone else. I forgive myself for accepting and allowing myself to believe that it was possible to be ‘better than’ another. Now, for any nitpicker that might read this and say it’s possible to be better AT something than another person is, OK, I’ll give you that – an individual can acquire skills that another doesn’t have that might make them better at performing a specific task. But, what I’m talking about is how we’ve made this “putting people down” personal – we attack the individual on a personal level . I forgive myself for accepting and allowing myself to say spiteful things to/about another, in order to make myself feel better about myself, instead of treating all others with dignity and respect within the principle of doing unto others as you would have them do unto you. 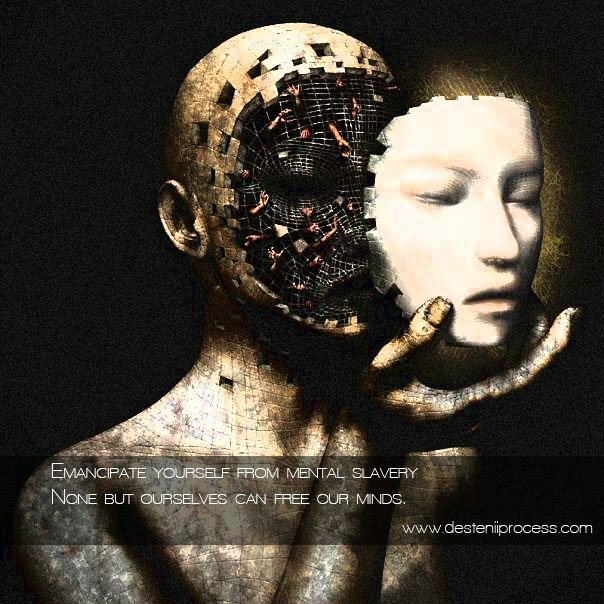 I forgive myself for accepting and allowing myself to ever have treated another as inferior to me in any way – and for purposely using words to intimidate another to make myself look better to me in mymind, instead of being willing to walk in the shoes of the other person in every instance where I cast judgment. I forgive myself for accepting and allowing myself to disguise mean-spirited remarks within humor, which basically is a technique to keep from taking responsibility for my words because, if confronted, I could say that it was just a joke, even though I had really meant it in the spiteful way it was said. So, I commit myself to remain aware when a situation occurs that might have triggered this type of behavior in the past, and to choose my words in accordance with what is best for all. Having started researching alternative cancer treatments/therapies before we had heard the definitive diagnosis, it didn’t take long to find out that thousands of people had been cured – or had cured themselves – of cancer, using many different methods. I was intent on supporting my partner’s decision whatever it ended up being but, the prospect of double mastectomy, chemotherapy and radiation – the standard slash, poison and burn protocol – scared her more than it did me, and when she decided to look into alternatives, I experienced a sense of relief. At that point I still didn’t know a whole lot but, mainstream medicine’s track record for curing cancer is abysmal when you start looking at statistics so, I figured we couldn’t do any worse on our own. Like every topic I’ve researched using the internet, picking where to start can be kind of intimidating because there are so many to choose from. Having become acquainted with a number of people through different Facebook groups, I joined and started looking at various posts in a few of the more than 1,000 cancer related groups on Facebook. Once that door is opened, there’s more information than one person can ever process so, you start wading through the muck – picking topics and following paths to see where they lead, then do that again and again until you feel that you’ve looked at this from a number of different directions/perspectives. Who knew that a Canadian nurse, using an ancient Canadian Ojibway Indian herbal formula, cured thousands of people of cancer over more than 20 years of practice – before World War II? Who knew that a dentist – sent home to die with liver and pancreatic cancer – developed a metabolic diet that cured his cancer and many thousands more over the last 35 years of his life? Who knew that, for 40 years, a Texas doctor has been fighting the FDA and AMA to let him use his cancer cure? Who knew that, from the late ‘50s through the ‘60s and ‘70s, the FDA harassed, raided, arrested, and confiscated equipment and supplies from cancer clinics throughout the US that had successfully cured cancerpatients using alternative methods? Who knew that there are people (trolls) that are paid to find, debunk, discredit, invalidate and ridicule the authors of any articles, blogs and/or videos posted on the internet about successful alternative cancer therapies/treatments? I can’t tell you how many hours my partner spent before developing/deciding upon the basic hybrid protocol she’s been following the past 14 months, or how many times she’s ‘tweaked’ it, as she’s learned of different vitamins and supplements to assist her physical body in healing itself. But, the initial decision had to be made somewhat quickly – but certainly not hastily – looking into as many aspects as possible in a short period of time. After all, we had a diagnosis and had been presented with a course of action – double mastectomy, chemotherapy and radiation – and were being asked to finalize scheduling for a pet scan and surgery – the pet scan being used to locate any/all other cancerous tumors present and to identify any lymph node metastases. Oh yeah, add multiple lymph node removal and the prospect of lymphedema to go along with the more well know side effects of chemotherapy and radiation treatments. It didn’t take long to realize that there are indeed alternatives to the standard protocols – many, many alternatives, that have worked – yes, cured cancer – for many thousands of people over a long period of time. I’m recognizing this re-occurring pattern where I – apparently – need to hear the same message over – and over – and over – then over again – not necessarily before I ‘get’ it but, before I walk the point for real. Whether it’s in our pre-programming or an accumulation of self-conditioning, I have had this tendency to judge and compare myself to the ideal characteristics, results or behavior for whatever topic is at the forefront of my attention at a given moment. In looking at this process of self-change, I have an idea as to the kind of person I want to become in the process of creating a world that is best for all and, even though I know that this will take me years to walk, I have consistently compared myself to where/who I want to be/become, instead of simply taking one step at a time, recognizing andgiving myself credit for each step taken – no matter how small or insignificant it may seem – simply because I took the step. I was reminded of this – again – recently, while listening to yet another outstanding interview in the Life Review series available through EQAFE, “Defined by a Moment” , in discussing how to approach success – setting an aim for oneself, then to basically celebrate all of the small successes along the way – making every point, task, relationship or assignment a point of success. Too often, we judge our progress in comparison to where we are in relation to the end goal – our ultimate aim (which is still a long way away) – instead of recognizing and giving ourselves credit for even a slight movement in theright directions . Basically, we need to remember that: if progress is/can be measured in baby steps, then celebrate the progress made in those baby steps. I forgive myself for accepting and allowing myself to judge and compare myself to where I want to be in relation to the ‘big picture’ instead of remembering to recognize and take credit for the small accomplishments along the way. I forgive myself for accepting and allowing myself to become overwhelmed by the magnitude of this process of self change, instead of keeping it in perspective – I am the result of the accumulation of many thousands of decisions over a long period of time so I must be patient with myself and allow myself time to change. I forgive myself for accepting and allowing myself to compare my perception of ‘where I am’ in this process of self change in relation to others who are within their process, always assuming that, within the backchat in my mind, that I am not where I should be – that I am behind – that I’m not as good as… – instead of taking into account that every person’s process, while similar, is unique to eachindividual. I forgive myself for accepting and allowing myself to be critical of myself for getting behind or, not spending enough time on certain things, then beating myself up about it – in my mind – often creating a cycle where I don’t do anything – because I’m so far behind I can’t get caught up to where I need to be – instead of taking one baby step at a time, looking at points as they come up and addressing them right then with self-forgiveness and self-correction, then recognizing and giving myself credit for the progress and change directed in the moment. When and as I see myself beginning to judge and compare where I am in this process of self change in relation to others or some definition I have in my mind, I stop and I breathe and I ground myself, and I remind myself that my process of self change is unique to me and cannot be judged in comparison to anyone else’s progress, and to identify/recognize and celebrate the small successes along the way. I forgive myself for accepting and allowing myself to make excuses for and to myself for not following through on my commitment to write consistently. 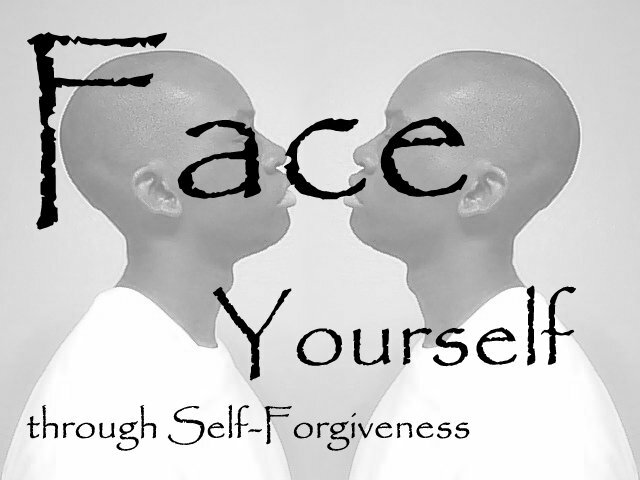 I forgive myself that I accepted and allowed myself to ‘put off’ facing myself in self-honest introspection. I forgive myself for accepting and allowing myself to use ‘doing research’ – gaining knowledge and information – as justification for postponing writing instead of being self-disciplined enough to schedule my time so I could do both. I forgive myself for accepting and allowing myself to believe that I can work through this process without writing – believing that I can work through issues in the single dimension of my mind ( blogging in my head ) instead of realizing that the physical process of writing down points is the first step in looking at the different dimensions of my thoughts, feelings and emotions. I forgive myself for accepting and allowing myself to rationalize participation within the energetic charge of thoughts and reactions. I forgive myself that I accepted and allowed myself to chase so many distractions, getting caught up in the energy of thoughts and reactions and being busy, instead of being self-disciplined enough to set aside timeeach day for self-honest introspection. When and as I see myself slipping into a pattern of behavior where I allow excuses and/or distractions to divert my attention, I stop, and I breathe, I direct myself to physically shift my body slightly in order to “ground” myself – and I remind myself to stop and take a good self-honest look at who I am in relationship with the point(s) that I need to address, and to discipline myself to use the tools of writing, self-forgiveness, self-commitment statements and self-corrective application, in this process of self change to move out of this ‘comfort zone’ I have created for myself. I commit myself to be aware of and to stop patterns of excuses and/or distractions. One week ago today, Sunday morning, August 11th, 2013, I was busy in the kitchen and my partner had sat down in her chair and pulled her computer onto her lap – as I had seen her do hundreds of times. Moments later, I heard her gasp and, as I turned toward her, heard an almost inaudible “Oh my…” as I saw her hands go to her face and in her facial expression I knew it was something serious. Then she started reading the email: “We are here to inform you that Bernard passed away in the early hours of Sunday the 11th of August…” By that time, I was signing on to my computer and minutes later read, then re-read, the same email that had just been read to me. I shed a few tears, then, as I looked at this sadness, I also knew that B wouldn’t have wanted anyone to go into any kind of pity-party due to his passing. (After all, twenty-something-thousand children die every single day due to preventable causes – lack of food, poor sanitation, and no access to clean water – to name a few.) No, he wouldn’t have it – I knew that. He had provided his family – and everyone in Desteni – with all of the support and preparation they’d need to carry on after he was gone from this physical existence and, it is now up to Us to carry on – to continue spreading the message of equality to the world. Bernard led the way – and he was a leader unlike any other leader we see in our world today. Where most of today’s so-called leaders – be they in government, corporations or religions – just give lip service to principles, Bernard Poolman Lived principles. He lived his words. 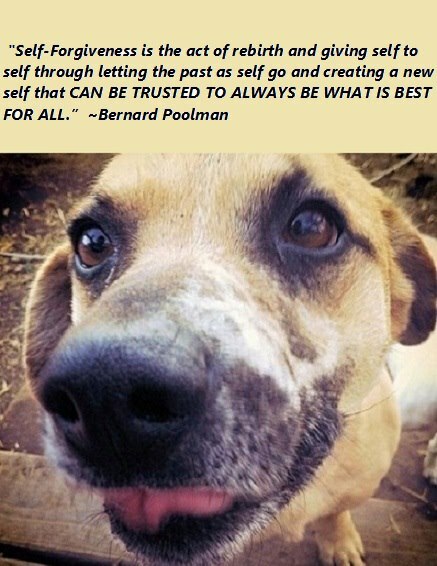 There was never any doubt of where Bernard Poolman stood on any issue and it was – and is – oh, so simple: he Always chose What’s Best for All. Investigate All things and keep that which is good. With the tools of Self-honesty, Self-forgiveness, and Self-corrective application, to help each of us see and figure out how we are responsible for – and have created – this world through our acceptances and allowances, Bernard showed us how to live these principles. And it will be through Living these Principles that we will one day create Heaven on Earth. If I would have had the opportunity to say one more thing to Bernard it would simply have been: Thank You. That’s it. He dedicated his life to creating a world that’s Best for All – Always and in All Ways – and was still doing just that when he died. And, for that – the principles by which he Lived his Life – I am eternally grateful.